Use "Boot floppy" from the ADFFS Filer to run the designer. When prompted to "Load a DESIGNER COURSE DISC in Drive 0" either use the blank ADF provided as disc 2 in the archive, or use your own disc that you've previously created. 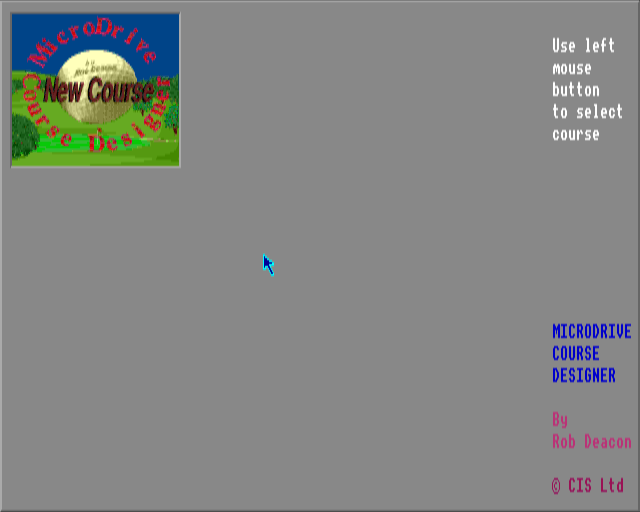 Details on how to create a course disc is detailed in the manual. Unfortunately, there's no way to save courses you create when running on machines that aren't running RISC OS 5 as the application doesn't allow you to quit and ADFFS doesn't currently implement auto-flushing when disc changes are written. Under RISC OS 5, you can terminate the app via CTRL-SHIFT-F12 and then flush or save the course disc. 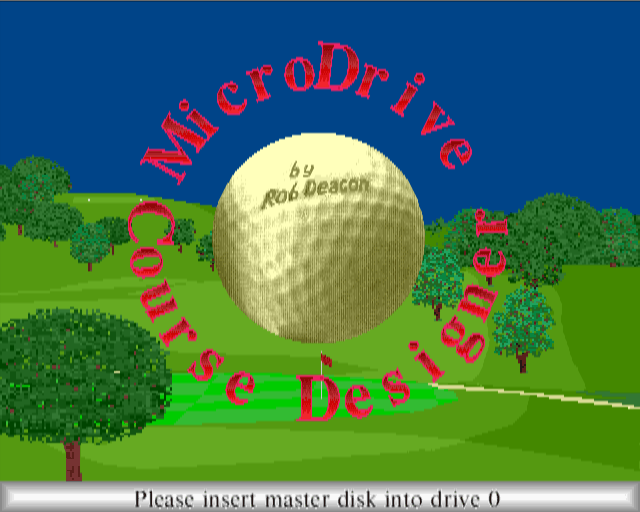 The primary aim of MicroDrive was to produce the best golf simulator available on a home computer. This meant no compromise whatsoever for the provision of a designer. 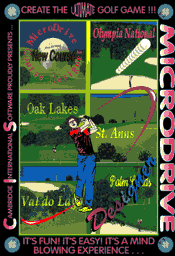 However, with the original courses taking over three months to build, the complexity of the data involved dictated that a designer program was a necessity and not just a desirable offshoot. Now you have the power of the world's greatest golfers and architects! The intricacies of the modelling have evolved into a designer with subsequent levels of sophistication. 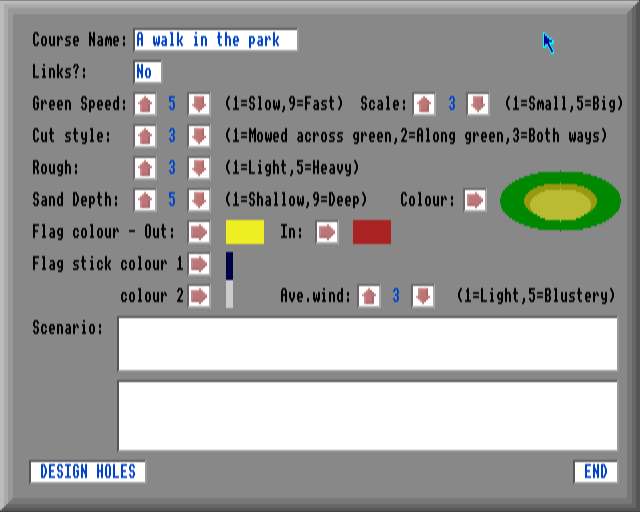 Rather that performing the simple task of plotting two dimensional holes, you can design the style and setting for your own course, the landscape and the presentation as well as the challenge of hazards. 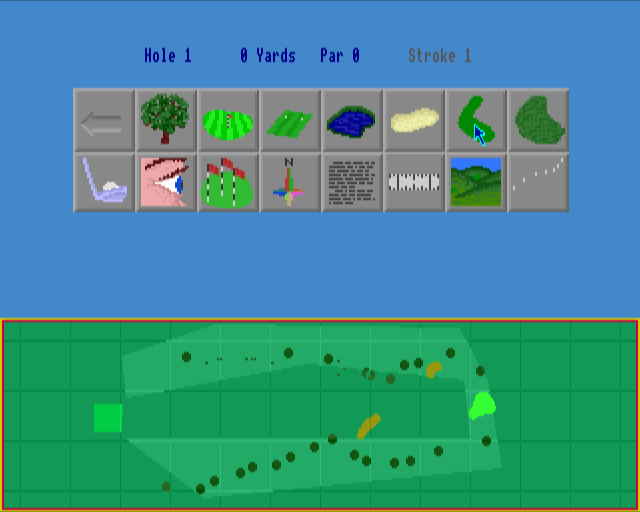 In short, for the first time you have the facility to design real golf holes. Like any tool, the designer and techniques involved will take some time to master, but once you've overcome the initial learning process, you will find most of your time is spent creatively rather than on implementation. We cannot overstate the challenge and satisfaction that can be experienced from this unique product!